Maya is like a bubble of illusion. Within the bubble all things seem real. 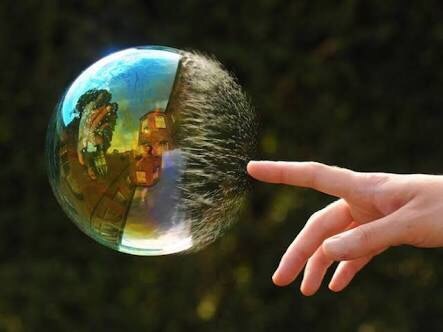 From without the bubble, nothing within it is engaging. Not politics, not the latest trends, not even death. Death only exists within the bubble, and without it, the bubble and its contents are seen as illusory and substance-less. We don’t “escape” the bubble, because we are already outside it. More accurately, the bubble, and all it contains, is within us. Awakening is mysterious. It is seeing beyond Maya. Seeing that which is already seen. It cannot be explained, just pointed to.